iGENEA is a DNA testing company launched in 2006 with headquarters in Switzerland. Its founder Joelle Apter (comes from Opatow) holds a master’s degree in both genetics and anthropology and her driving force from the start has been her desire to uncover the Jewish/Polish origins of her ancestors. Apart from iGENEA, she also founded Websheep and GenePartner, where she also holds the position of CEO. As far as the company’s business model is concerned, we would go as far as to describe iGENEA as the European version of AncestryDNA. They both act as a bridge of sort, connecting historical and genetic research to learn more about our origins as a species. This interdisciplinary approach is what sets them apart in this highly competitive industry. 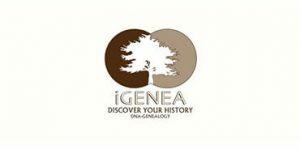 Note that iGENEA collaborates with Family Tree DNA and performs analyses through its laboratory and database. Keep reading our detailed iGENEA review to find out more about this company. Order – This can be done online through their official website or via telephone or email. Sample Collection – After the testing kit arrives at your address, you should collect your DNA sample for further analysis. The company opted for buccal swabs instead of saliva containers. Returning the kit – With your buccal sample ready, all you have to do is mail the kit back to the indicated address. Inspecting the results – Your first results should be ready within 6-8 weeks. Depending on the testing option you’ve chosen, these could be your final results or they will be sent for further analyses. The general rule of thumb with buccal swabs is that the procedure shouldn’t be painful at any moment. If you start feeling pain or draw blood at some point, just stop and continue later. Note that eating and drinking anything but water at least 2 hours before the collection might contaminate the sample. You can also order the test kit as a gift by simply stating the receiver’s address in the comments section of the order form. Having said that, we do have our reservations with this service, especially concerning the scope of the company’s DNA tests. 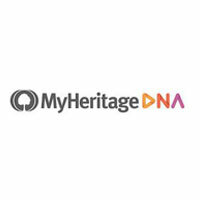 Namely, you can only choose to explore your maternal or paternal ancestry lines whereas other DNA tests on the market usually provide both and offer singular testing only if you’re specifically interested in it. We’ll make additional concerns known in their corresponding paragraphs of this iGENEA review. iGENEA Basic (179EUR) – This test is also called DNA-Explorer, providing you with a basic insight into your DNA genealogy. The origin of your ancestry is determined by regions and percentages. The results will feature a world map, which will show your mixed origins. Simply put, this test will show you the regions of the world from which you descended. It will also locate your potential relatives inside the database and provide you with their email addresses, allowing you to contact them. Since the test doesn’t examine gender chromosomes, we would basically call DNA-Explorer iGENEA’s version of the classic autosomal DNA test. iGENEA Premium (499EUR) – This test is the upgraded version of DNA-Explorer, including the results you get with iGENEA Basic and a report concerning your paternal or maternal lineage. With this test, you can basically make your own DNA test by writing down personal requests in the remark field on the order form. The results include information about your prehistoric origins (the subgroup of your haplogroup), your ancestral tribe, the region of your origin, a map of the world showing your ancestral percentages, and unconditional access to the company’s genealogical database where you can start searching for your relatives. iGENEA Expert (1279EUR) – As you might’ve already guessed, this test is the best DNA test the company has to offer. Apart from the high-resolution DNA analysis, you’ll also receive the most detailed and precise interpretation guide. The results also cover the subgroup of your haplogroup and the regions of your ancestral origins, paired with detailed information about your paternal or maternal ancestral lineages. Needless to mention that DNA-Explorer is also included. For your maternal line, your entire mitochondrial DNA will be analyzed. On the other hand, the test inspects 111 STR and several SNP markers located within your Y chromosome for your paternal line. On top of that, the test inspects around 710,000 SNPs on the autosomes and X chromosome. Don’t get confused by the often mentioned “Family Finder Test” in the official FAQ. It’s just another term used for autosomal testing, which inspects chromosomes 1 to 22, without X and Y, the so-called gender chromosomes. One of the major drawbacks of these tests is the fact that you can’t order both paternal and maternal testing with iGENEA’s premium option. This means, hypothetically, that you’d have to order the same test twice in order to get your complete ancestral lineage. Given the steep pricing, that would indeed be a costly endeavor. When it comes to the research section of this iGENEA review, the company truly lives by its words, as it is involved in numerous projects aimed at making new discoveries in the field of genetic genealogy. The warrior gene project (MAOS-L gene variant), which investigates the genetic propensity of men to take risks and fall into aggressive or compulsive patterns of behavior. On top of all this, you can also start your own surname project and investigate other bearers of your surname for potential biological relations. There are currently around 7,000 surname projects in iGENEA’s database. With iGENEA, data discretion is very highly regarded, so you won’t have to worry about your personal information being handed over to any third parties. The company operates under Swiss law on data protection. The Federal Act on Data Protection (FADP) and its Ordinance regulate the collection and use of personal data on a federal level. Additionally, each of the 26 different cantons has its own cantonal data protection act, which regulates the processing of data by cantonal bodies. Furthermore, iGENEA’s partner Family Tree DNA operates under the US-EU “Safe Harbor” Convention on data protection. Finally, you can always request that all of your data be immediately deleted from the database. Once you place your order with iGENEA and your payment is processed, your DNA test kit will leave its facilities the next day, at the latest. You can also place an order during the weekends, in which case the kit will be sent on Monday. Apart from this, there is no additional shipping information on the site. We don’t even know whether the company ships worldwide or not. Sure, you can always contact user support and obtain the relevant info, but user support definitely shouldn’t be used to gather the most basic of information regarding the services a company is trying to sell you. To finish this IGENEA review, the company does have its ups and downs, but it does offer superb DNA testing and pretty reliable results. Family Tree DNA wouldn’t partner with just anyone, so nothing to worry about there. On the other hand, the test prices are overly excessive by all measurements and the lack of unified paternal and maternal results could also be perceived as a major weakness. This test is good for people who expect European origins since you won’t find a better Europe-centric DNA testing service currently on the market. You have to pay a bit more, but you’ll receive detailed results painting a “high-res” picture of your prehistoric ancestry. You’ll also be able to start your own surname project, investigating your lineage even further. 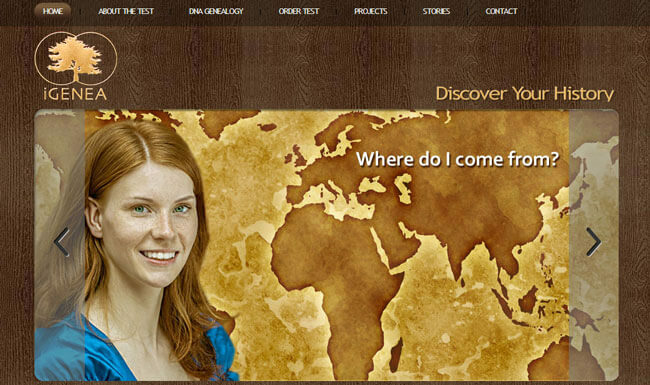 So, if you’re a European or expect origins from Europe and don’t mind paying more money for a complete ancestral picture, this is the right DNA testing provider for you. Our ratings are the result of an objective and independent evaluation of iGENEA, generating the final rating that reflects the overall quality of the company. Ratings may change as the service changes. iGENEA user rating based on 5 user reviews. Excellent tests! It's all I imagined it would be and I'm thinking about starting a Wilkinson surname project as well. We found 0 verified iGENEA discounts for April, 2019. There are no iGENEA coupons or discounts right now. If you like iGENEA but aren’t sure whether they are truly the ideal choice for you, you may want to take a look at our comparisons below to discover if one of their competitors is more suitable for you.